I didn’t paint it right away. I don’t know if you know this about me, but I tend to change my mind a lot once in a while. It sat for some time before I decided to go ahead and paint it. You just never know when another bright idea will pop in your head. I had to be sure. 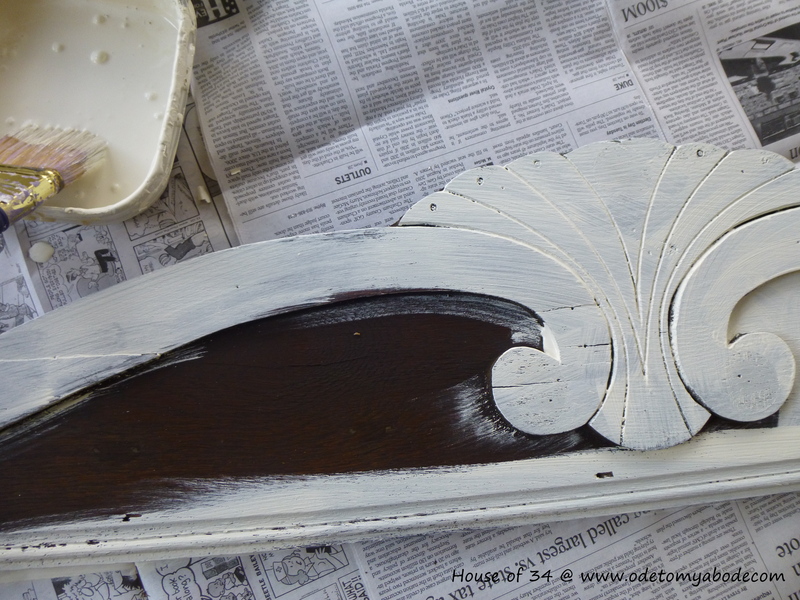 Before painting, I gave the piece a light sanding, then wiped it down. 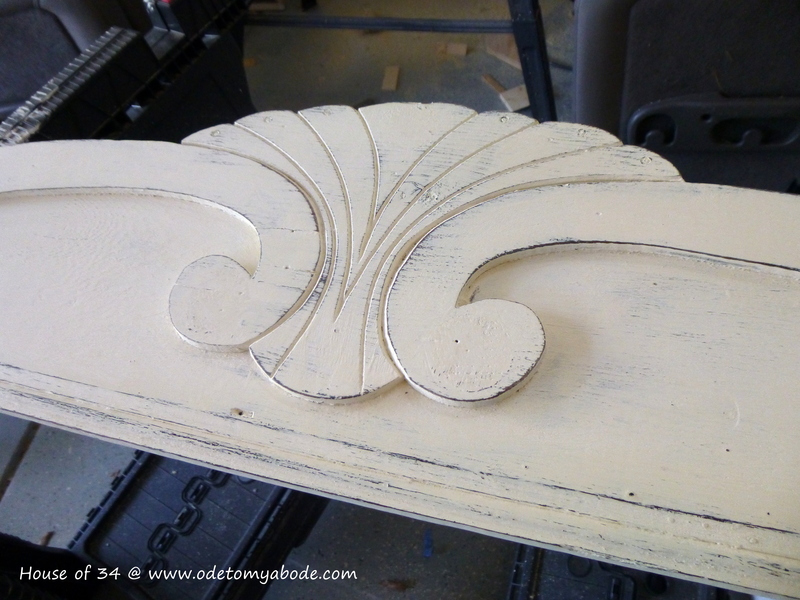 I used two coats of Annie Sloan “Old White” chalk paint. 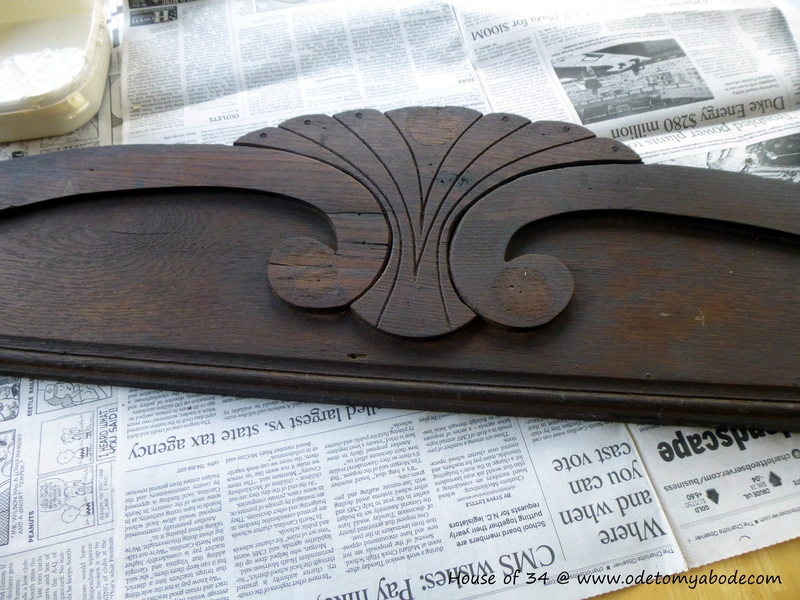 After the paint dried, I sanded the entire piece again, concentrating more on the edges for a distressed, aged look. 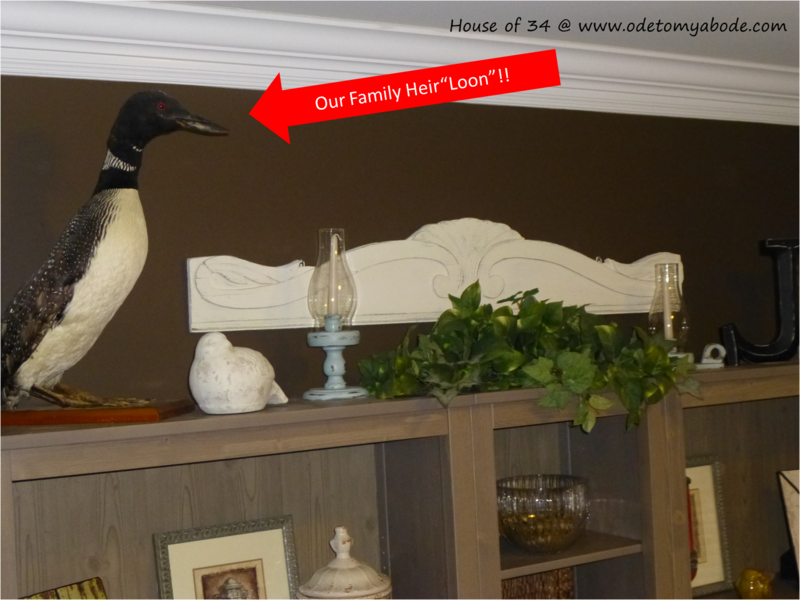 Now it’s hanging above the bookcases in my “Dining Room turned Library“. 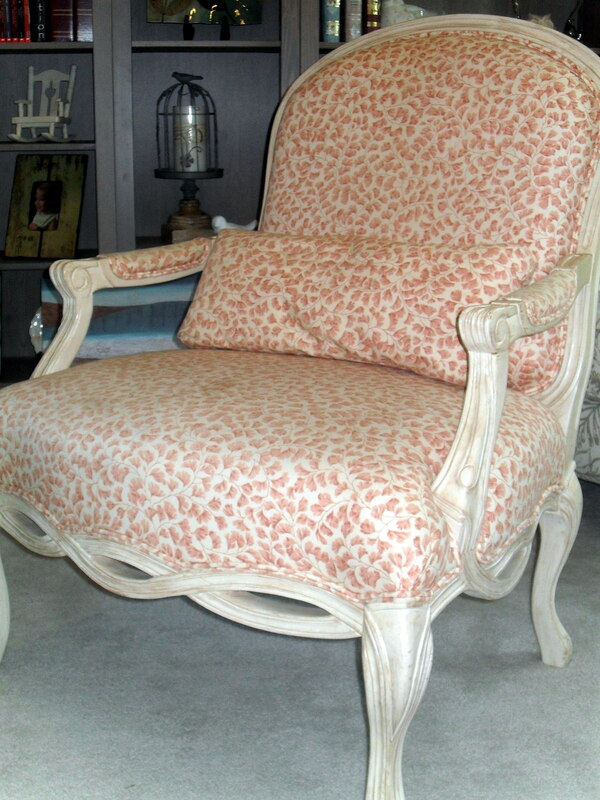 Finding a “one of a kind” makes antiquing and thrifting so much fun! Posted in DIY (you can do it! 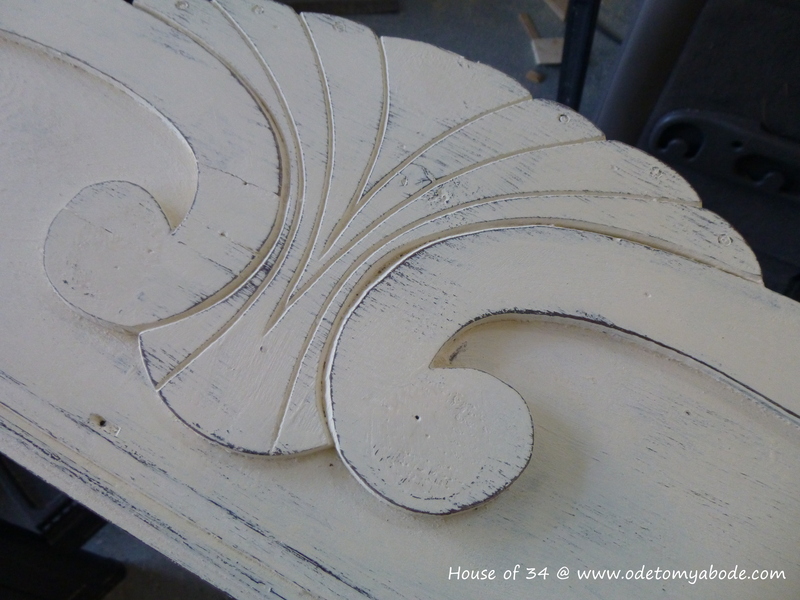 ), DIY Decor and tagged Annie Sloan, Antique shop, architectural, architectural salvage, chalk paint, Dining room, DIY, DIY blog, DIY projects, furniture, Home, Home and Garden, home decorating, paint, pediment, Thrift store, thrifting. Bookmark the permalink. Woohoo! Finally finished one of the projects on my “almost done” list! 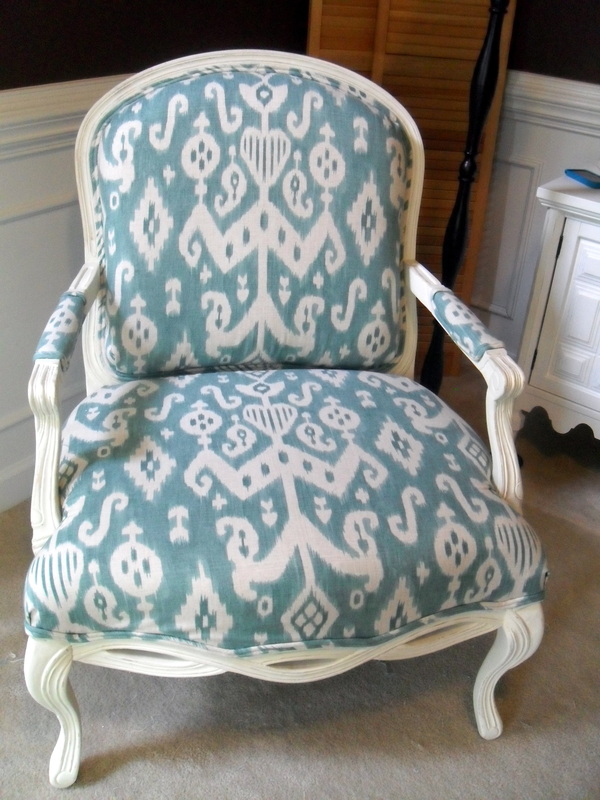 This is the arm chair I bought at the antique show a couple of weeks ago. 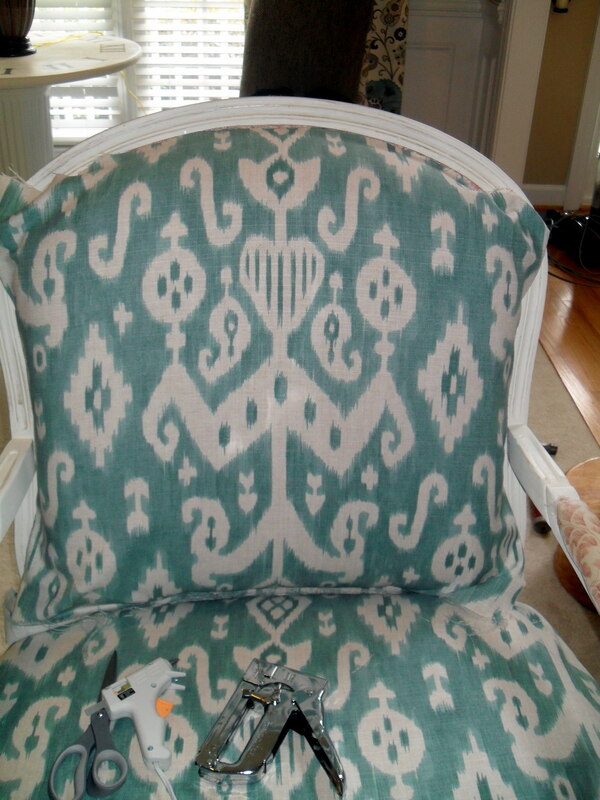 It was in good shape, but it needed a paint redo to freshen it up and it definitely new fabric. 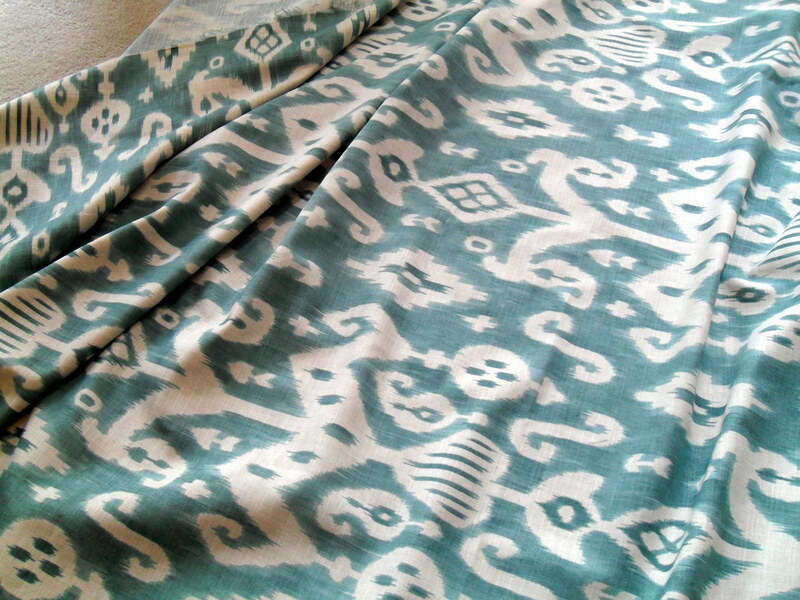 It took me five fabric stores before I found the perfect fabric. It’s hard to shop for something you can only see in your head! ha! 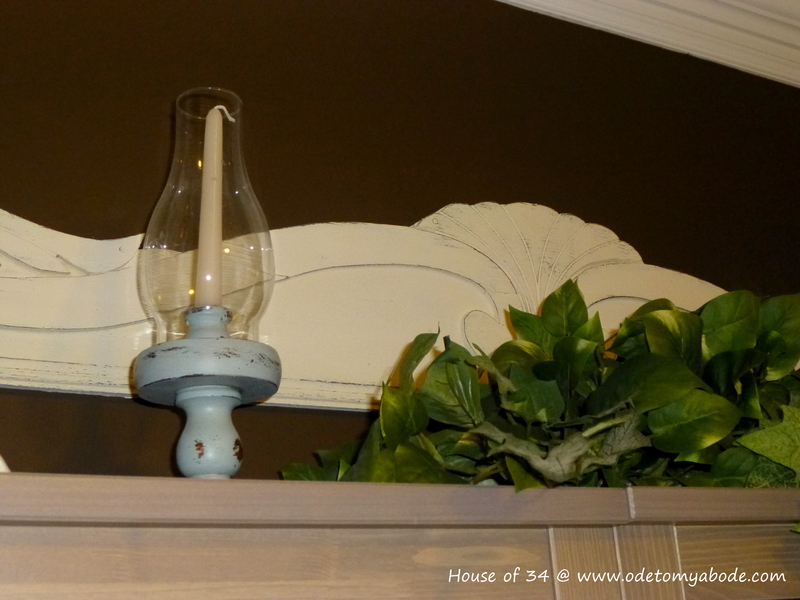 I bought a quart of Annie Sloan chalk paint. I have been hearing and reading about it a lot lately. It’s suppose to cover furniture without prep work. That’s all I needed to hear! “Paint, paint, wax, wipe. Sand then wax then wipe (dark wax at this point with the clear wax). Finally polish the piece the next day for a mellow sheen.” How’s that for simple??? Ha! Before I started recovering the chair, I had to take off the double weld trim. (Not shown, it’s in the garbage.) 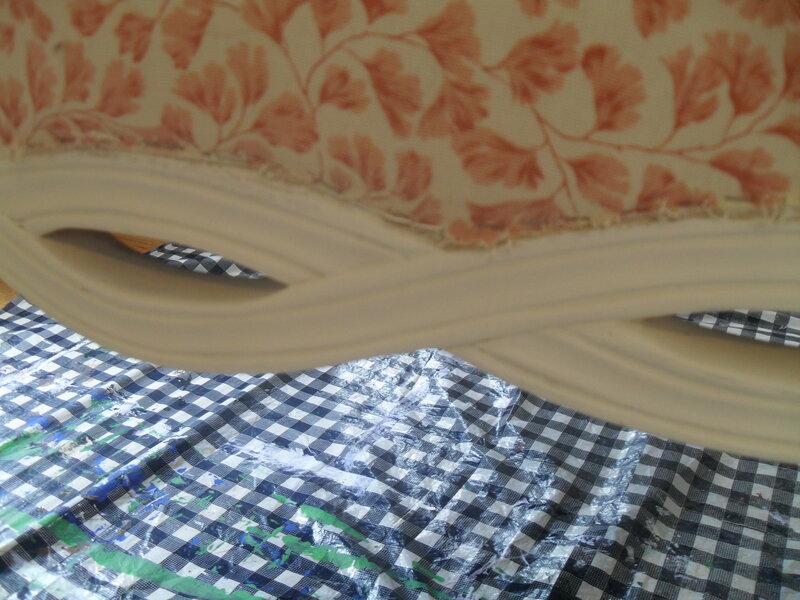 It was done in the same material as the rest of the chair. 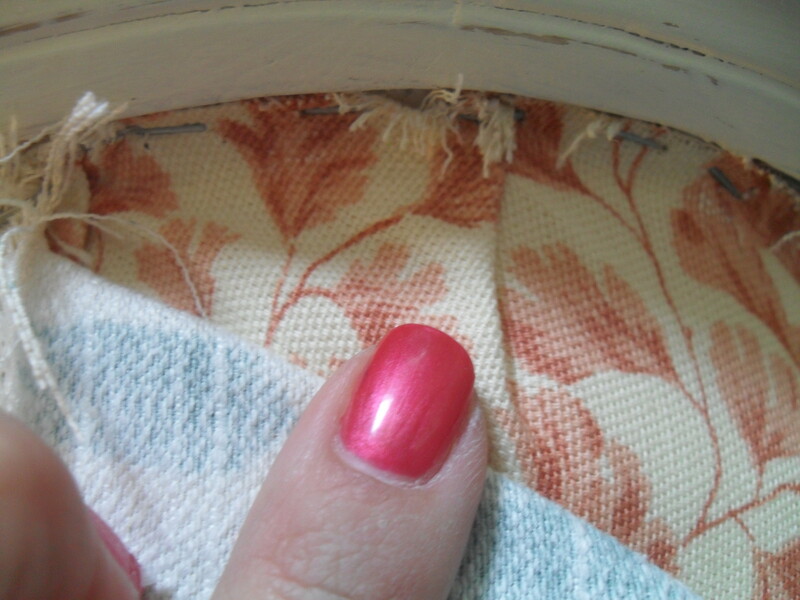 I didn’t take the original fabric off the chair before recovering because it’s attached with a million staples. After pulling off the trim, I had enough of pliers! I used the original fabric as a guide for doing the corners and rounded edges. 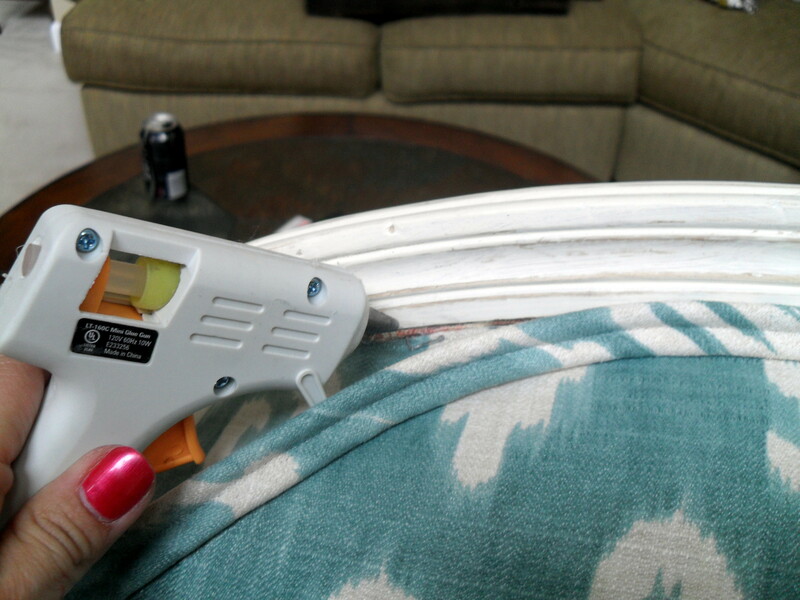 I used a staple gun to attach the fabric to the chair. Some places I used a little hot glue when I ran out of hands to hold everything. 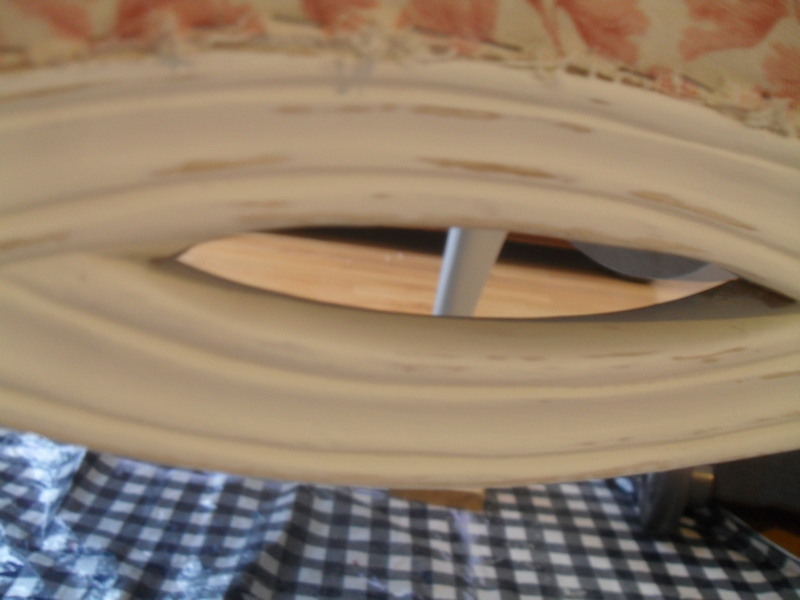 Here is how the double weld cording looks on the chair. 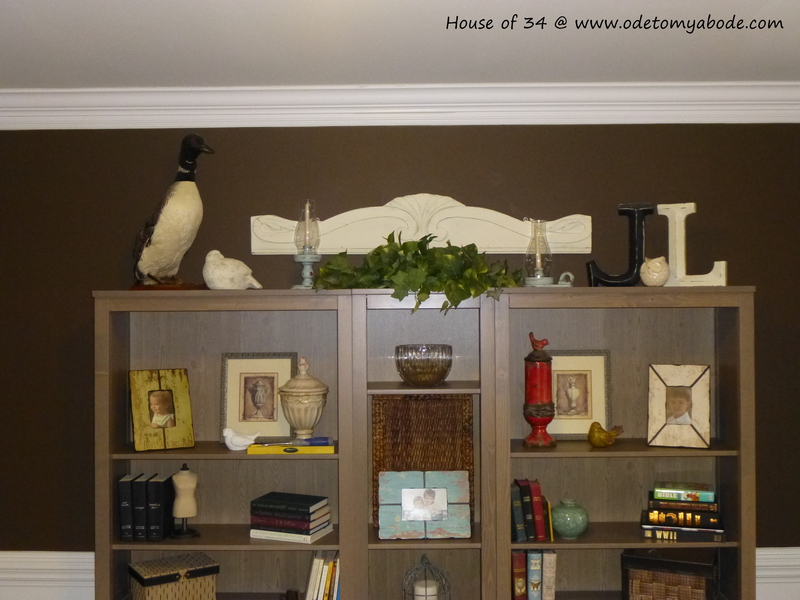 I looked at quite a few fabric stores for ready-made trim to use around the edges. It never occurred to me to put double weld cording back on the chair. I didn’t know how and it looked complicated. NOT SO! Oh my gosh! It was so easy and soooo cheap to do. I had left over fabric and spend $10.00 on the cord. 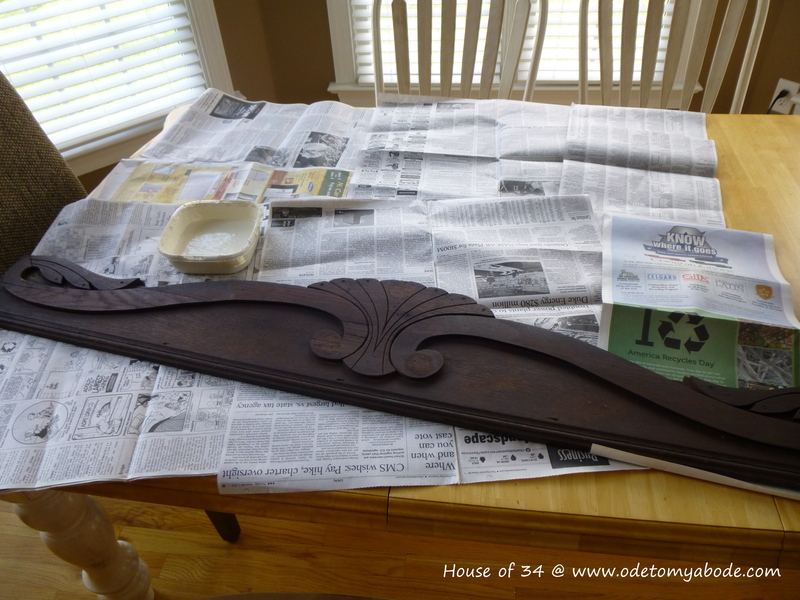 Ready made trim would have cost me around $30.00. I went to google for directions and this is the blog I used for directions… Centsational Girl. 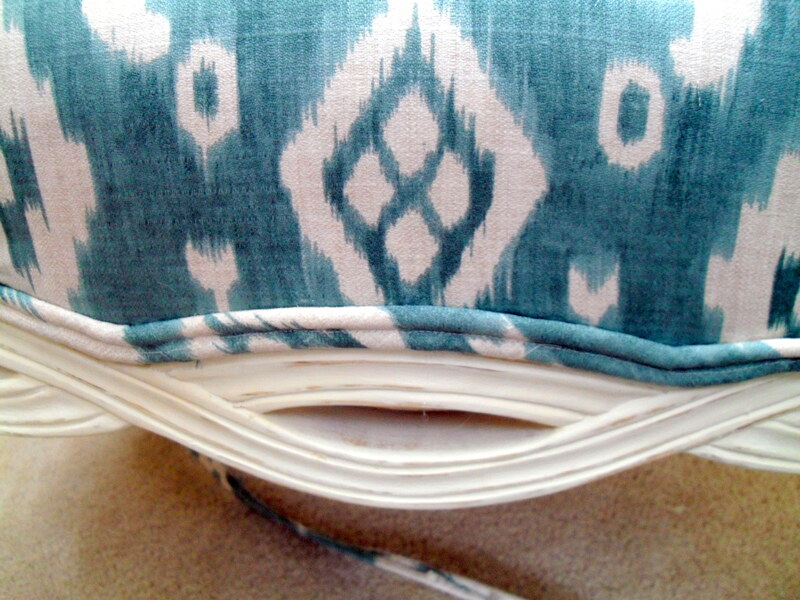 The back of the chair just had fabric on it. It was pushed up into the frame of the chair. I folded over the edge of the fabric and glued it on. I used a spatula to stuff it in the frame. 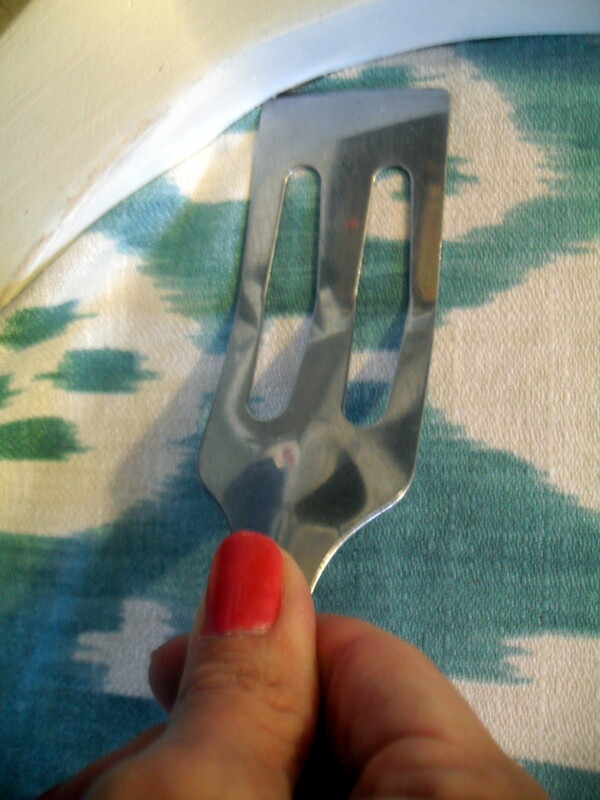 Spatulas aren’t just for cooking, ya know! Ta Da! It’s finished. Not too bad for a fly by the seat of your pants kind of girl! 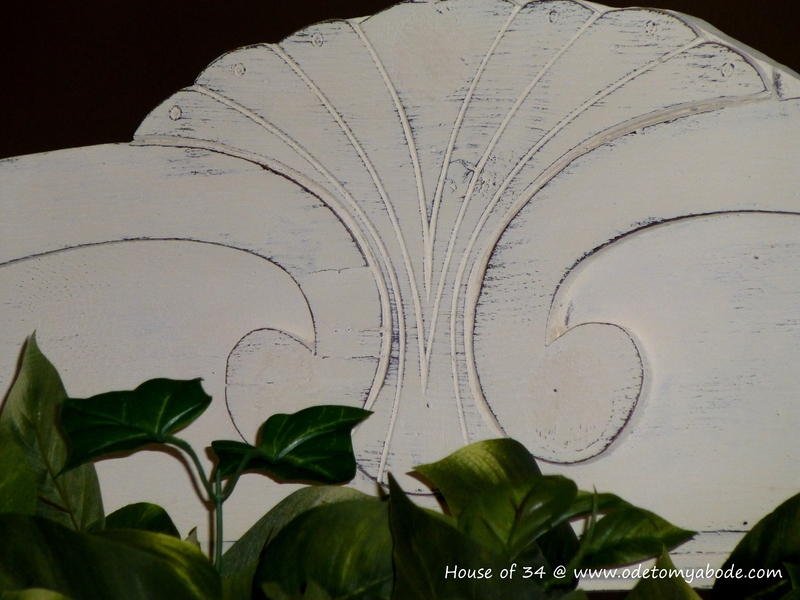 Posted in SOS (tutorials) and tagged Annie Sloan, Antique, arm chair, chair, chalk paint, DIY, home decorating, paint, recovering, Redo, reupholstering, Textile, Wax. Bookmark the permalink.